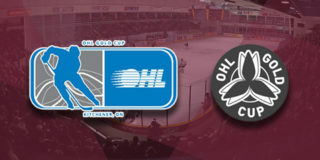 Ontario Hockey League teams selected 200 players through 10 rounds of Saturday’s Priority Selection, but Carter Schoonderwoerd wasn’t among them. The Mitchell teen was watching at home and growing restless as the draft took a 15-minute break before the 11th round. 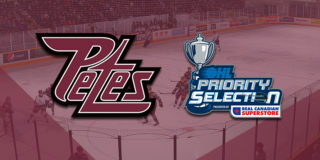 The Peterborough Petes took Schoonderwoerd, a six-foot-four, 218-pound winger, three picks into the 11th round. 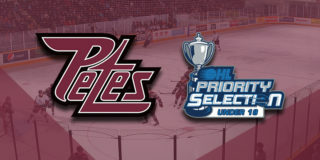 Petes general manager Mike Oke said the team focused on adding size with its 15 selections. Schoonderwoerd, 16, had 18 goals and 38 points in 40 games with the Huron-Perth Lakers minor midgets this season, so he certainly fits the Petes’ blueprint. He grew up in the Mitchell minor hockey system and played for the Meteors through minor bantam. Schoonderwoerd figured he would be taken earlier in the draft, but he wasn’t surprised to end up a Petes prospect. The Grade 10 St. Michael Catholic Secondary School student will find some familiar faces when he’s in Peterborough. Schoonderwoerd’s sister, Erika, is a nursing student at Trent University, and Stratford native Brady Hinz is a forward with the Petes. 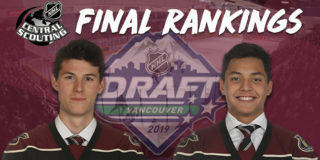 Schoonderwoerd will attend Peterborough’s development camp April 21-22 and then embark on a busy summer spent refining his game getting into the best shape of his life. Lakers minor midget defenceman Thomas Gangl was also drafted. Gangl, a six-foot-one defenceman from Wingham, went to North Bay in the eighth round, 149th overall.